Thank you for taking the time to visit this page. You’ve probably found a link to it after browsing the site. As you probably know, there’s a huge amount of information here about the practicalities of living afloat. The site’s creation has been a labour of love since I moved on board a very sad looking narrowboat on my 50th birthday, 2nd April 2010. Since then I’ve invested over 7,000 hours in the site. Each of my weekly newsletters take a full day to write and add to the newsletter archive. Each day I answer dozens of emails from the site’s 6,000 newsletter subscribers and 10,000 monthly site visitors. For the first five years I juggled working full time at Calcutt Boats marina with my work on the site. Over the last two years I have created a little income from the site with the guides I’ve written. In April 2015 I stopped working at Calcutt Boats so that I could explore the waterways network full time and concentrate on adding more useful and interesting information to the site. I then met and married my lovely wife Cynthia, failed to find a way of getting her into the UK, and sold my boat so that I could leave England and be with her full time. We travelled Europe in a motorhome for seven months, but our passion was living afloat. We’ve returned to the water, this time on the Dutch network, where I continue to blog about the lifestyle. I still work long days adding content and maintaining the often problematic content management system, but I struggle find enough spare money to meet the considerable running costs. The site costs me a fortune to maintain. The hosting cost alone is considerable, and then there are all the bells and whistles which allow me to send regular emails to the boating and motorhome enthusiasts on my subscriber list. I am struggling to find the money to maintain it this year. I need some help. I hope that you are in the position to do so. I don’t want lock down the site and make it subscription only. Many aspiring boat owners don’t have any money to spare. I wouldn’t like them to miss out on the huge amount of information available to them here. 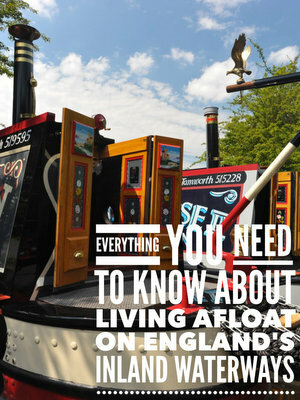 If you have found this site useful, if you think it has helped you make an informed decision about life afloat, or maybe if something you’ve read here has made your life easier or saved you money and if you are in the fortunate position to be reasonably financially secure, maybe you could help keep this site a comprehensive and free resource for aspiring narrowboat owners from all over the world. There are three options on the subscription button below. Each is under your complete control. You can cancel easily and quickly whenever you want. Thank you for reading this far, but I will be eternally grateful if you can go one step further help me help others live a life an idyllic and problem free life afloat. Just one hundred subscribers will enable me to maintain the site indefinitely. I hope you will be one of them.